Western Washington District 3 consists of five counties and two cities. This website is part of Washington ARES and should provide contact information for all of District 3. The District 3 ARES net meets every Sunday at 7:15 PM on BeachNet and the Capitol Peak repeater systems. Grays Harbor Auxiliary Emergency Communications (AEC) volunteers provide communications support to all emergency response agencies of Grays Harbor County including the Department of Emergency Management (DEM) and other multi-jurisdictional Emergency Operations Centers/shelters. This may include using equipment and frequencies beyond the traditional boundaries of Amateur Radio on any authorized radio, which may be connected with the on-going emergency. This support may involve the use of telephone, cellular, computer, internet, e-mail, Packet/Pactor systems and in-office support of those managing the event. AEC members are not emergency communications dispatchers. Until the mid 90s, there were two local teams which were then combined into one larger team trained to handle all served agencies. This has created a single point of contact for these agencies to receive communication support. The Grays Harbor DEM selected the name, Auxiliary Emergency Communications (AEC). The DEM sponsors and manages the AEC program. Members of the combined team complete the AEC membership application and are credentialed through the DEM office. This then allows members to respond as RACES if needed and are covered under the Washington State Emergency worker program when activated with a state mission number. AEC expects its personnel to be more than just operators of radios on a "call if you need me" basis. AEC members strive to be professional communicators, who work as non-paid staff with the DEM to respond to the Emergency Operations Center or to any location necessary to maintain or enhance communications for the duration of the emergency. AEC is dedicated to working in partnership with the public-safety community to excel in the ability to provide professional emergency communications resources and services. Auxiliary Emergency Communications members may respond with their personal equipment to set up communications most anywhere in the county and support the DEM radio room in Montesano which has communications capabilities on all Amateur Radio bands as well as Law Enforcement, fire, marine, air, transportation, PUD and state emergency frequencies. AEC has structured five Amateur radio repeaters throughout the county, which are used to carry out its program. AEC encourages its members to first, take care of themselves, family and neighbors during an emergency, but then to think about the larger picture. We strive to recruit communicators who look beyond their hobby as Amateur radio operators and wish to serve their community by committing to AEC and its goals. The Grays Harbor County AEC Net meets each Sunday at 19:00 hours local. The first Sunday of each month on 146.580 simplex. The remaining Sundays the net is found on any of the five linked AEC repeaters listed above. The Grays Harbor County Amateur Radio Club meets the first Thursday of every month at the Hoquiam Library meeting room at 19:00 hours. 2. Continuation and extension of the amateur's proven ability to contribute to the advancement of the radio art. 3. Encouragement and improvement of the amateur radio service through the rules which provide for advancing skills in both the communications and technical phase of the art. 4. Expansion of the existing revision with in the amateur radio service of trained operators, technicians and electronics experts. 5. Continuation and extension of the amateur's unique ability to enhance good will. This is what the Amateur Radio Emergency Service (A.R.E.S.) program is all about and what each A.R.E.S. unit strives for in all its members. Mason County ARES is a residential responder based organization. During an emergency Mason County ARES members will remain at their residences and act as net control operators establishing community based radio nets. The nets will utilize FRS/GMRS and CB radio services in addition to Amateur Radio. The purpose of these nets is to provide a temporary emergency communications system to replace a compromised traditional phone system. This will allow for the timely requests for assistance and organizing the community based self rescue efforts. The Mason County ARES does provide AMATEUR RADIO OPERATORS for THE AMERICAN RED CROSS. Additionally we act as a clearing house for AMATEUR RADIO OPERATORS who wish to volunteer their services for several community events, such as the Mason County Fair. The Mason County ARES does not provide AMATEUR RADIO OPERATORS to the Mason County Department of Emergency Management or the MST program. For information regarding these programs please contact the Mason County Department of Emergency Management at 360-427-9670. The amateur radio clubs in our county are separate and apart from ARESÂ®, yet most club members who have the time also belong to ARESÂ®. Both clubs sponsor our emergency communications effort by the funding and upkeep of their respective repeaters, each of which are dedicated to emergency use by all amateurs. Show up for a meeting when you get a chance. Each club offers excellent fellowship and plenty of activities to keep your amateur radio hobby fresh and alive. North Mason Amateur Radio Emergency Service Club (NMARES) meets 4th Thursday at 7 PM in the Belfair area. Our main EOC (callsign WA7PC) is in South Bend behind the courthouse. Our Alternate EOC (callsign W7RDR) is in Long Beach at the County Building. The Pacific County Amateur Radio Club meets the second Saturday every month at Hunter's Inn restaurant in Naselle at 9 AM local. Talk-in frequency is 146.86. Pacific County Amateur Radio Club is at 146.860, tone is 118.8 and it is located in Ilwaco. The BeachNet Linked Repeater System is a linked network of open Amataeur radio repeaters covering nearly 9,000 square miles in southwest Washington State. A transmission over any of the repeaters is heard on all stations in the system, blanketing the southern coastal counties, an impossible task from any one site. For more information go to BeachNet. To join the Pacific County ARES and/or RACES team, send an email to Bob Cline EC/RO ([email protected]) and he will send you the appropriate forms. We welcome anyone wishing to help our county with emergency communications. The Pacific County Emergency Services Net meets every Thursday at 1930 hours on the Beachnet which is also linked to the Clatsop County, Oregon W7BU system 145.45 repeater. The Centralia Amateur Radio Emergency Services Team supports the Centralia Police Department, Riverside Fire Authority and the City of Centralia's Emergency Operations Center. 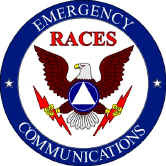 Our primary mission is to provide amateur radio communications to the EOC should normal forms of communications fail. Other requirements include performing windshield surveys for the Incident Commanders, delivery and placement of command and communication vehicles when requested, upkeep and delivery of deep water rescue vehicles during area floods, urban searches, traffic control and monitoring local sandbag stations. Member training and drills are conducted the first and third Mondays beginning with an activation net at 6:15 pm on the K7CEM repeater, 145.490, -600, tone 110.9. The K7CEM repeater also supports UHF capability at 442.050 (447.050 offset), tone 103.5. The Lacey ARES group was officially formed in 2013. Our mission is to support the City of Lacey, WA with Amateur Radio Communication during all Exercises and Emergencies. We are HF capable on all bands, 2-meter and 440 voice and 2-meter packet. If you are interested in joining a small, but energized group, please call our EC or AEC. Monday evenings at 7 PM on the PSE repeater on 145.150-, 103.5 tone.